A is not a hill station. B and E are not historical places. D is not an industrial city. A and D are not historical cities. A and B are not alike. 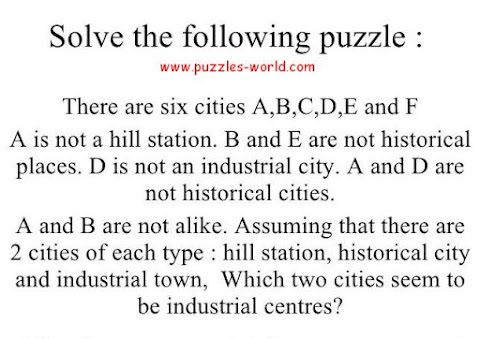 Which two cities seem to be Industrial Centres ? So A is one of the Industrial Centre. Since A and B are not alike. 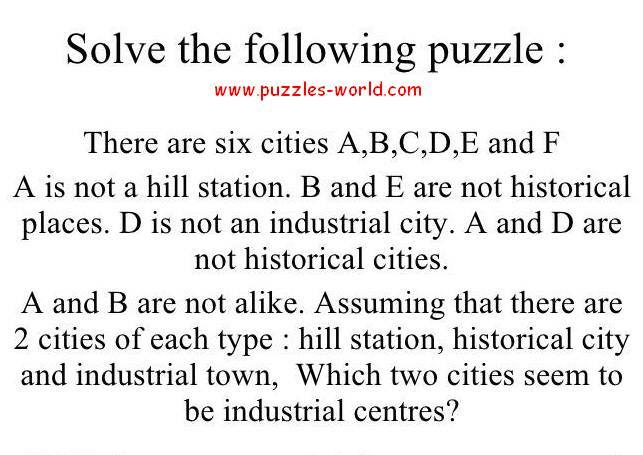 B is not and Industrial Centre. B is a Hill Station. D is not an Industrial City, hence D is also a Hill Station. This leaves us with E as an Industrial Centre. Hence A and E are Industrial Centres. 12 / 01 / 2001 - What is the name of the Girl ?